AGSIA Design Group is an interior design firm mainly focused on residential and commercial projects. Our mission is to provide clients in the Miami area with superior service, taking into account the best value possible, and strictest adherence to each individual’s personal style. At AGSIA we develop shared visions with our clients and complete each project with absolute thoroughness and imagination. Our ability to quickly understand each client’s needs and personal style ensures successful collaboration at every step of a project. Through unparalleled service and exceptional standards, we deliver polished, modern environments that range from edgy and bold, to laid back and cozy. Miami’s Luxury Interior Design and Architectural Firm | Best of Houzz! Raquel has a Bachelor’s degree in Architecture and Urbanism from Universidade Federal de Juiz de Fora, Brazil. Originally from Brazil she has been living in USA for about 10 years working in the field of project consulting and management. She has been responsible for consulting in a number of residential and commercial projects in the United States and internationally in collaboration with other licensed industry professionals. Her biggest concern when consulting on a project is to understand the client’s expectations. In collaboration with other industry professionals, Raquel aims to evaluate and interpret the tastes and inspirations of her clients in pursuit of authentic individualized living spaces. Clients can rest assured that one of her primary objectives is to help them discover, reveal and refine their design identities in the most tasteful ways. Her mission is to ensure that clients feel at home in their homes. 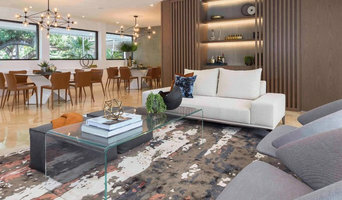 Miami's Top Architectural Interiors & Interior Design Firm | Best of Houzz 2017, 2018, 2019 For over 15 years, Natalia Neverko Design have been providing unique, innovative high-end architectural interiors, interior design and exterior design individually tailored to our clients’ personality and specific needs. Natalia Neverko Design, (NND,Inc) is a full-service design firm recognized as an international company with European attributes, that delivers locally sensitive design. Our mission is to transform a client’s dreams into a truly unique reality. We aim to create harmonious and functional projects that showcase our client’s individual taste, preference, and personality and we make every effort to create a beautiful design concept that is genuinely timeless. Our experienced team of highly skilled designers, craftsmen and decorators to work in a variety of styles and produce classic, modern, and contemporary state-of-the-art designs that are innovative and functional, as well as aesthetically pleasing. We complement our projects with cutting-edge materials and custom-designed lighting and furnishings. We assist clients throughout every stage of remodeling from architectural drafting to residence decoration, and manage projects of all magnitudes. As a team that has successfully executed numerous high-end multimillion-dollar projects and is dedicated to meet the highest quality standards at all times. Regardless of where you live, NND,Inc strives to make every project a rewarding experience for our clients. Whitney Bloom Design is a full-service luxury interior design company servicing clients in South Florida and beyond. Passionate about interior design, Whitney Bloom is the founder and owner of Whitney Bloom Design, a full service luxury interior design company that creates elegant interior designs and custom stylish furniture inspired by various cultures, refinement and nature. Whitney and the team of designers develop concepts with a modern sensibility to create welcoming spaces infused with luxury. 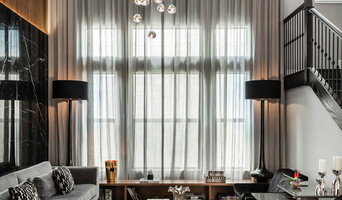 Whitney Bloom Design is committed to creating exceptional, unique designs that complement and narrate each client's lifestyle and personality. We specialize in Luxury Residential, Hospitality, Commercial and Multifamily design. As an architectural and design firm our focus is to meet each one of our client’s needs and provide functional, innovative and beautiful buildings. As a consulting firm we provide new construction, remodeling, planning, unique architecture and interior design services. D-essentials emphasizes in personalized attention to each one of our clients since 2000. Tailoring service is the key to been a flexible designer, since each project and client is different. I am able to work in small projects allowing client to participate within process and also to Project manage complete home remodels from design, permit process and final installation. A good home design professional will hone your style down to its very essence and be able to choose a functional layout that feels natural to you. Interior design companies can be involved as much or as little as the client desires. Many clients who hire an interior decorator in Hallandale, FL — particularly those who are remodeling — have a good sense of how the room should look and what products they should use. Often clients will insist that interior decorators use the products already present in the house. Other times a designer will need to start from scratch — especially if this is a newly purchased or just-built home. An interior design company will need to figure out exactly what the client needs, which includes organizing rooms, picking flooring and wall colors, and finding furniture to complement it all. Sometimes that means he or she will have to recruit help from other Hallandale, FL home professionals to help create the perfect look for your renovation. Here are some related professionals and vendors to complement the work of interior designers & decorators: Architects & Building Designers, General Contractors, Home Builders, Design-Build Firms, Photographers. Do your research before meeting with an interior designer or home decorator in Hallandale, FL. Ask yourself what you want your space to become and what it will be used for. Figure out the extent of what you need help with, what your must-haves are and what your budget is. Interior design services can add up fast, so be up front with a potential design firm or individual from the beginning. Also, pick an interior decorator that fits your style. Browse through the portfolios of different Hallandale Beach interior design firms and decide if you would live in those houses. Just because you like something doesn’t mean you could live in it. There's a big difference! 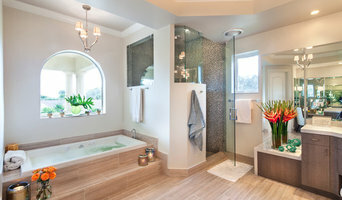 Find an interior designer or home decorator in Hallandale, FL on Houzz. Narrow your search in the Professionals section to find Hallandale Beach interior designers near you. 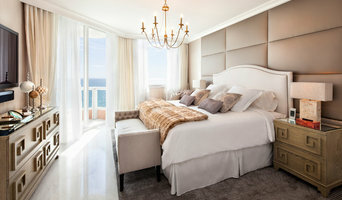 You can also look through Hallandale, FL photos to find a room you like, then contact the design firm who designed it.